Come on in and check out this very nice Acura TSX we have to offer! This TSX was just traded in and offers a lot of great features including beautiful heated leather seats, sunroof, bluetooth, and much more! This TSX offers one of the best color combinations! This TSX has been serviced and is ready for a new owner! Our service manager Lisa will be more then happy to go over any service questions that you may have! We look forward to seeing you soon! Please call us for more information! We are excited to offer this 2001 Acura MDX. Off-road or on the street, this Acura MDX handles with ease. Once you see this Acura, you'll quickly see that this is the perfect vehicle for the outdoor junky! You'll even feel relaxed knowing that this All-Wheel drive vehicle will get you to where you are going no matter what may come your way. Also, with this Acura MDX's dependable control you'll be able to drive into the sunset without a care in the world! Low, low mileage coupled with an exacting maintenance program make this vehicle a rare find. There are many vehicles on the market but if you are looking for a vehicle that will perform as good as it looks then this Acura MDX is the one! We look forward to seeing you soon! Please call us for more information. Come on in and check out this very nice Acura MDX we have to offer! This 2 owner MDX was just traded in and offers a lot of great features including beautiful heated leather seats, back up camera, sunroof, bluetooth, all wheel drive, and much more! This MDX offers one of the best color combinations! This MDX has been serviced and is ready for a new owner! Our service manager Lisa will be more then happy to go over any service questions that you may have! We look forward to seeing you soon! Please call us for more information! Come on in and check out this very nice Acura ILX we have to offer! This ILX offers a lot of great features including beautiful heated leather seats, back up camera, sunroof, bluetooth, and much more! This ILX offers one of the best color combinations! This ILX has been serviced and is ready for a new owner! Our service manager Lisa will be more then happy to go over any service questions that you may have! We look forward to seeing you soon! Please call us for more information! Come on in and check out this very nice Certified Pre-owned Acura ILX we have to offer! This ILX was just traded in and looks like it rolled off of the showroom floor! The seats don't even look like they have ever been sat in! This ILX offers a lot of great features including beautiful heated leather seats, back up camera, sunroof, bluetooth, and much more! This ILX offers one of the best color combinations! This ILX has been serviced and is ready for a new owner! Our service manager Lisa will be more then happy to go over any service questions that you may have! We look forward to seeing you soon! Please call us for more information! Come on in and check out this very nice Certified Pre-owned Acura ILX we have to offer! This 1 owner ILX was just traded in and looks like it rolled off of the showroom floor! The seats don't even look like they have ever been sat in! This ILX offers all the bells and whistles including beautiful heated leather seats, back up camera, sunroof, bluetooth, navigation, and much more! This ILX offers one of the best color combinations! This ILX has been fully serviced and is ready for a new owner! Our service manager Lisa will be more then happy to go over any service questions that you may have! We look forward to seeing you soon! Please call us for more information! We are excited to offer this 2011 Acura MDX. The Acura MDX is the benchmark all other SUVs strive to meet. With exceptional power, towing and handling, this SUV can handle anything thrown at it. 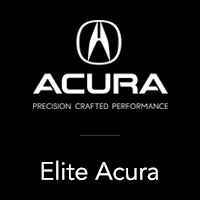 This Acura MDX Tech/Entertainment Pkg is for the discerning driver who demands the utmost of his vehicle. Few vehicles can match the safety and comfort of this AWD Acura MDX Tech/Entertainment Pkg. With enhanced performance, refined interior and exceptional fuel efficiency, this AWD Acura is in a class of its own. You can tell this 2011 Acura MDX has been pampered by the fact that it has less than 81,221mi and appears with a showroom shine. More information about the 2011 Acura MDX: This 7-seater MDX has a nice array of standard features even at the base level and includes a lengthy options list. There's plenty of room for a family and its gear--and the MDX includes 10 cupholders for just such duty. Fit and finish are excellent across the board including a very quiet cabin. Super Handling all-wheel drive is more for on-pavement performance than off-roading, but for those looking for a minivan or station wagon upgrade, the MDX performs admirably. Interesting features of this model are Lots of power with good handling, luxurious cabin, and tons of available technology We look forward to seeing you soon! Please call us for more information. Come on in and check out this very nice Certified Pre-owned Acura TLX we have to offer! This 1 owner TLX was just traded in and looks like it rolled off of the showroom floor! The seats don't even look like they have ever been sat in! This TLX offers a lot of great features including beautiful heated leather seats, back up camera, sunroof, bluetooth, and much more! This TLX offers one of the best color combinations! This TLX has been fully serviced and is ready for a new owner! Our service manager Lisa will be more then happy to go over any service questions that you may have! We look forward to seeing you soon! Please call us for more information! We are excited to offer this 2016 Acura TLX. This vehicle is loaded with great features, plus it comes with the CARFAX BuyBack Guarantee. When it comes to high fuel economy, plenty of versatility and a great looks, this AcuraTLX Tech cannot be beat. This Acura TLX's superior fuel-efficiency is proof that not all vehicles are created equal. The TLX Tech is well maintained and has just 36,954mi. This low amount of miles makes this vehicle incomparable to the competition. More information about the 2016 Acura TLX: The TLX represents an excellent value. Competitors include the Lexus ES350, the Mercedes-Benz CLS, the Audi A4 and the BMW 3-series. The TLX, with its strong feature set and low price of entry, undercuts many of its rivals, while still offering plenty of space, sophisticated drivetrains and a modern chassis. This model sets itself apart with advanced transmission options, available all-wheel drive, Good balance between luxury and sportiness, and good fuel economy We look forward to seeing you soon! Please call us for more information. Come on in and check out this very nice Certified Pre-owned Acura TLX we have to offer! This 1 owner TLX was just traded in and looks like it rolled off of the showroom floor! The seats don't even look like they have ever been sat in! This TLX offers a lot of great features including beautiful heated leather seats, back up camera, sunroof, bluetooth, navigation, all wheel drive, and much more! This TLX offers one of the best color combinations! This TLX has been fully serviced and is ready for a new owner! Our service manager Lisa will be more then happy to go over any service questions that you may have! We look forward to seeing you soon! Please call us for more information! Come on in and check out this very nice Certified Pre-owned Acura RDX we have to offer! This 1 owner RDX was just traded in and looks like it rolled off of the showroom floor! The seats don't even look like they have ever been sat in! This RDX offers a lot of great features including beautiful heated leather seats, back up camera, sunroof, bluetooth, all wheel drive, and much more! This RDX offers one of the best color combinations! This RDX has been fully serviced and is ready for a new owner! Our service manager Lisa will be more then happy to go over any service questions that you may have! We look forward to seeing you soon! Please call us for more information! Come on in and check out this very nice Certified Pre-owned Acura TLX we have to offer! This 2 owner TLX was just traded in and looks like it rolled off of the showroom floor! The seats don't even look like they have ever been sat in! This TLX offers a lot of great features including beautiful heated leather seats, back up camera, sunroof, bluetooth, navigation, all wheel drive, and much more! This TLX offers one of the best color combinations! This TLX has been fully serviced and is ready for a new owner! Our service manager Lisa will be more then happy to go over any service questions that you may have! We look forward to seeing you soon! Please call us for more information!